Hero HF Deluxe Eco prices start at Rs. 38,900 (Ex-Showroom) and the top end variant Hero HF Deluxe Eco Drum Self and Alloy is priced at Rs. 49,375 (Ex-Showroom). 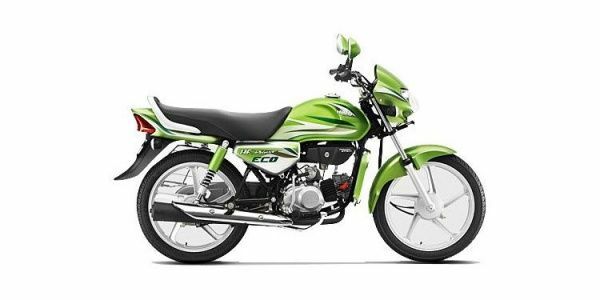 Hero HF Deluxe Eco is available in 7 variants and 11 colours. Share your experiences with HF Deluxe Eco? The claimed ARAI mileage for the Hero HF Deluxe Eco petrol is 82 kmpl. The HF Deluxe ECO is a variant of HF Deluxe, one of the best selling commuter motorcycles from Hero. The HF Deluxe offers a good combination of affordability, adequate performance, decent looks and fuel efficiency, ideal for commuting. Q. Is bike is fuel efficient? how long it can drive continuously? is there 2 battery? self start with battery? Good experience it useful to ride in Bangalore City traffic.we used to ride near our residence it used to pick and drop our children's daily. Confused about Hero Moto Corp HF Deluxe Eco?